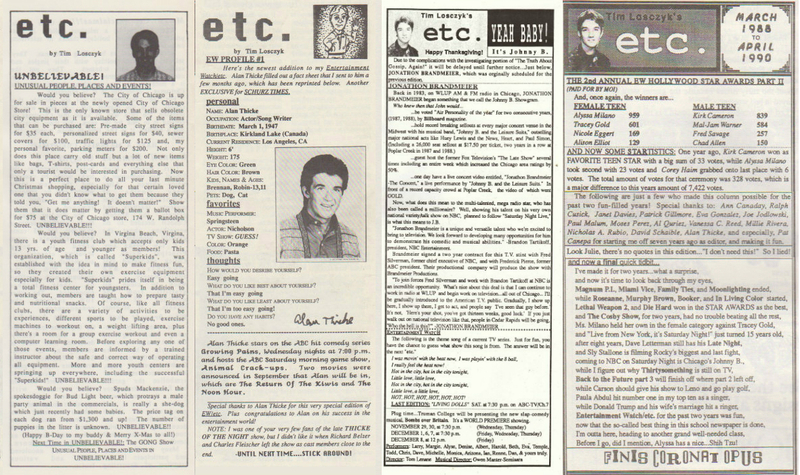 Back in the '80's, my column etc. started as EntertainmenT WatcH...Today, I am bringing a little of that back, but without any of this! Tonight is the return of Arsenia! 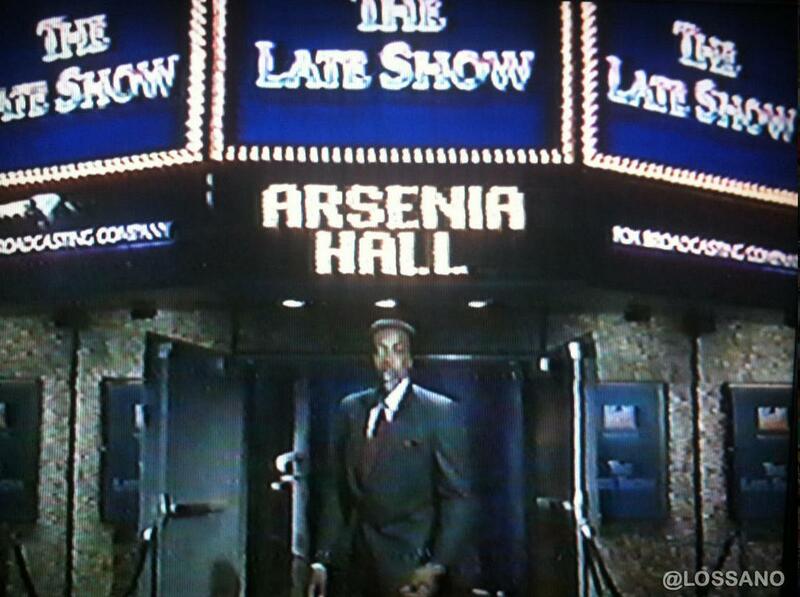 In a show opening bit, rising comic, Arsenio, complains that his name is misspelled on the marquee! 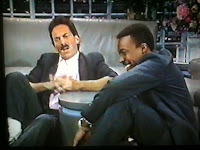 Yes, I know that it is Arsenio, but I use to watch him back in 1987, back when he first dabbled as a talk show host. Arsenio Hall took over The Late Show Starring Joan Rivers, the late night talk show that launched the Fox Network a year earlier! 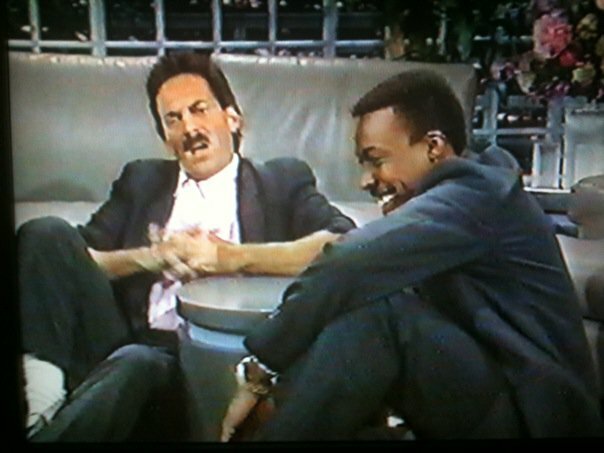 Arsenio was first brought on to guest host the show, as were many others. Chicago radio personality, Jonathon Brandmeier was one of Arsenio's first guests, and Johnny, himself, later went on to guest host The Late Show which eventually lead to him hosting his own short-lived nightly talk show on NBC. Then Fox decided to go in a different direction with their late night programming and they canceled The Late Show. Fox made a deal to have Arsenio host the final 13 weeks until a new show were to replace it. The ratings jumped back up, (but never as high as they were when Joan hosted), and Fox considered keeping The Late Show on the air, but both the network and their new host had other commitments. Arsenio was to star in the movie Coming To America with Eddie Murphy and Fox had signed on a new comedy-news-magazine show called The Wilton North Report, (a show very much like The Daily Show, created by David Letterman's producer, which employed a young writer named Conan O'Brien). Paramount Pictures then brought Arsenio back to hosting, with his own syndicated talk show. The Arsenio Hall Show! There was even talks about taking Arsenio's successful show out of syndication and place it on the Paramount fifth television network, (which eventually became the now defunct UPN network). Tonight Aresnio returns with a continuation of The Arsenio Hall Show, back in syndication and still with Paramount. (Here in Chicago on what evolved from UPN and The WB, now known as The CW, WGN-TV 9). A very cool part of all of this, with his return to Paramount, Arsenio has access to footage from his original five year run. So Fox lost their chance at having a late night franchise, over a quarter of a century later, "We're having a ball, it's Arsenio Hall!" 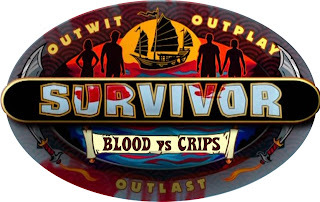 Survivor is one of the shows that was ground-breaking when it first came on, but now I am just surprise to hear that it has still on television. Back when it premiered, it brought reality TV to the front, and everybody was talking about it. Today, I honestly know no one who sez that they watch this show. The only reason why I knew that they were still on, was cuz I saw a commercial for the new season, which they are calling Blood vs. Water, which I have no idea what that means, and even less interest in finding out. I have a possible controversial pitch. 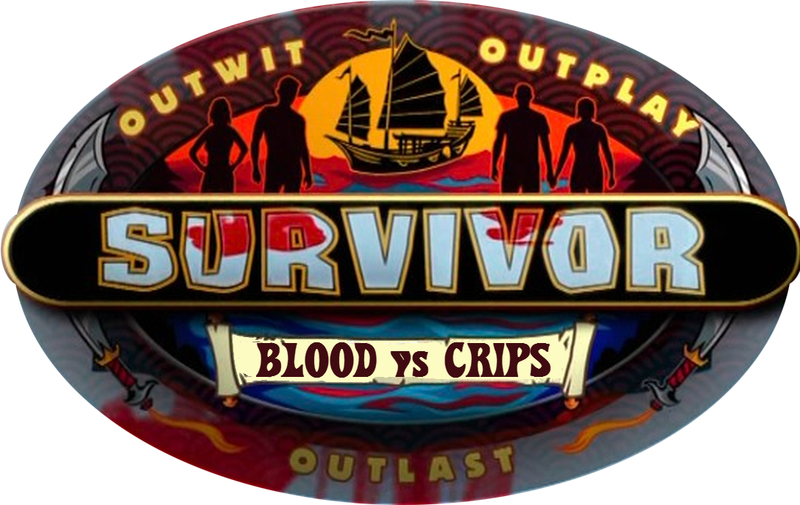 Bring in the Los Angeles gangs, Bloods vs. Crips, (assuming that they are still well-organized, unlike the Chicago gangs), to compete for that one million dollar prize. This would revive the series and give gangs an opportunity at making a career change, well, at least one person could. Of course, I am kidding, but give Mark Burnett the idea and he might make a new show. Actually, I would rather see Donald Trump work with the gangs in The Apprentice: Street Gang Version. At the end of this past Sunday's episode of The Newsroom on HBO, Charlie Skinner (played by Sam Waterston) shouted out something in the middle of the newsroom. At my viewing party, (yes, my viewing party! ), we replayed the scene, and none of us could understand what he said. I later went online to see if anyone else posted what he shouted. I found that there was a bunch of posts, also questioning this inaudible moment. Can someone please tell me what Charlie screamed at the end of last night's #Newsroom? I am not understanding. 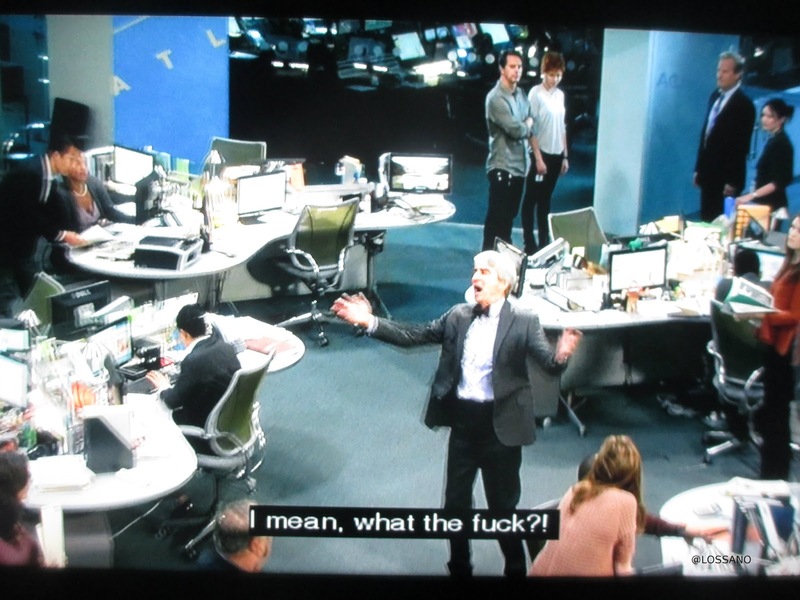 "Who do I know that watches "The Newsroom" and has access to closed captioning? I cannot discern what Charlie screamed at the end." Ta-da! Why didn't I think of that. I mean, WTF?! Happy Birthday To Mrs. Lossano? Happy Birthday to Ashley Lobo, an amazing talent, who is also one of my great friends!